Hundreds of extra flights per week are added for the holiday season. Vietnam's aviation authority said the number of domestic flights delayed or canceled in the first week of June, which marked the beginning of summer travel, surged to a three-month high. 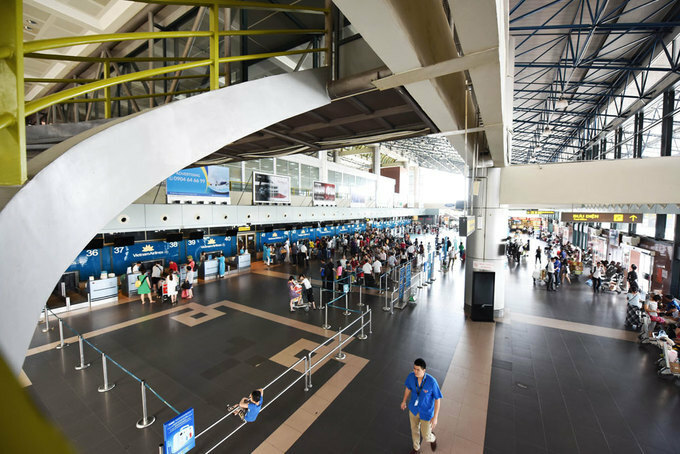 Vietnam Airlines, VietJet Air, Jetstar Pacific and Vasco operated over 5,700 flights between May 31 and June 6, of which 810 flights were delayed or canceled, according to the Civil Aviation Authority of Vietnam. Nearly 14 percent of the flights were delayed, and 0.3 percent canceled, it said. Jetstar Pacific has the highest percentage of delayed flights, affecting 15 percent of its 568 flights. It's 14.6 percent for the national carrier Vietnam Airlines, and 14.2 percent for the low-cost VietJet Air. June is also the peak time for air travel in Vietnam. It has 200-300 more flights per week than the previous months. The aviation authority said in previous years delays could hit 19 percent of all flights in June. This year, officials cited technical issues and weather among the causes. Vietnam’s airline market is growing at the third fastest pace in Asia-Pacific, but the country is grappling with an acute dearth of airport capacity. The country is working on a design for a massive airport in Dong Nai Province to take some of the heavy load off of Tan Son Nhat International Airport in Ho Chi Minh City, but construction could take years.